No doubt about it—technology is essential to your logistics operation. For most logistics industry enterprises, the biggest concern is not if, but when and how to upgrade from their old paper-based and/or independent software systems to a fully integrated WMS/TMS system. WMS/TMS products all serve essentially the same function—they assist your logistics enterprise in managing, moving, storing, and shipping inventory from the warehouse to the customer. There are a lot of vendors offering countless service solutions, promising added functionality, integration and guaranteed compatibility with other types of software. To put it bluntly, this is a complicated technology environment. Often, the most pressing issue with upgrading to a more modern operations model is cost. Logistics enterprises are all about speed, efficiency and accuracy, and integrating a new system into a company that already works around-the-clock means downtime, staff training, and a transitional learning curve, among other factors. Essentially, the problem here can be boiled down to a common train of thought: time lost = money lost. But it’s time to face the music: the industry is changing and shifting into a globally interconnected, mobile landscape. Transitioning your logistics company to a modern, integrated WMS/TMS system (that manages ALL your various WMS/ERP/TMS/YMS/CRM/HRM/etc functions) can give your company the advantage in a competitive market. Consider industry leaders, like Amazon: their logistics enterprise is so fast, so efficient, and executed on a truly breathtaking scope—and it’s all because they were able to efficiently upgrade to a technologically modern WMS/TMS system. But you don’t need to be as big as Amazon to implement a workable solution for your enterprise. • Reduced overall costs and a measurable ROI. Many logistics companies find themselves in a difficult position. It’s tough to find the right time (and enough money) to upgrade—but it’s really tough finding the right WMS/TMS solution package from the right vendor. Good news! There are a lot of opportunities available for logistics enterprises ready to step up and make the change to more efficient and integrated WMS/TMS systems. Many of the available options are easy-to-use and intuitive, meaning there may be less of a time investment (to address training and learning curve issues) than you may expect. Visibility is a crucial; it’s consistently rated one of the most important features logistics executives want. When you get to-the-minute visibility, you’ll have the data you need to detect inefficiencies in your day-to-day work processes, allowing your organization to boost productivity, slash order fulfillment times, improve customer satisfaction, reduce costs, and deliver faster return on investment (ROI). Best of Breed WMS/TMS solutions often offer outstanding visibility—allowing leaders an end-to-end view of their rolling and static inventory at every level of the supply chain—in real time. • Multi-System Integration. An integrated platform providing enterprise-level capabilities that acts as a central hub for managing ALL logistics business operations. Your best-of-breed integrated WMS/TMS system can connect customer relationship management (CRM), sales and marketing, finance and accounting, human resource management (HRM), document management, enterprise-to-enterprise (E2E) capabilities, e-commerce, and more—resulting in a powerful central data repository your logistics enterprise can use to analyze interrelated and interconnected data from across your organization. • Mobile Integration. Should integrate with and support key mobile technologies, including: handheld computers, smartphones, tablets, barcode scanners, voice picking solutions, smart printers, RFID and other technologies. • Voice-Directed Warehousing (VDW). 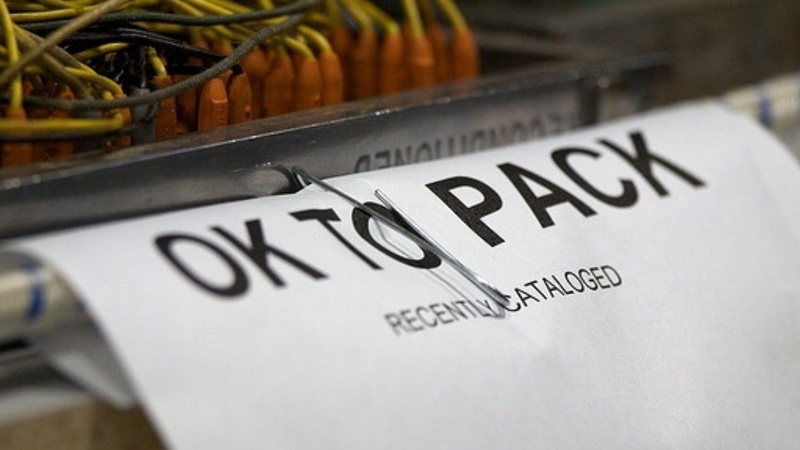 Wireless voice picking and receiving: no more paper shipment lists or manual entry required. • Training and Workflow Performance Management. Reduce down-time and training time and money with intuitive systems. Look for screen guidance, backend API, process automation and built-in workflows. • Advanced Analytics and Reporting Capabilities. Robust and flexible data collection, analysis and reporting available across multiple organizational levels and systems to provide your team with the data they need to take your business to the next level. • Scalable Database Engine. Your logistics enterprise runs on data—and that data is stored in databases. If your database isn’t set up to scale with your business as it grows, your systems will eventually fail to serve your business operations—and that means trouble. Scalability is the answer. Some of the more recommended databases include: Oracle, Microsoft SQL server, or DB2 and other open source systems such as Ingres, PostgreSQL and MySQL. This list is by no means complete. Every logistics organization is different and it’s important to find the best integrated WMS/TMS solution to fit your particular industry and enterprise. Choosing and implementing a new, integrated WMS/TMS solution is a large-scale technology project that is not without risk. However, the evidence is clear: logistics enterprises that make the switch sooner rather than later will pull ahead in the industry and gain the competitive advantage. To learn more about best of breed WMS/TMS solutions for your logistics enterprise, contact Cyzerg.